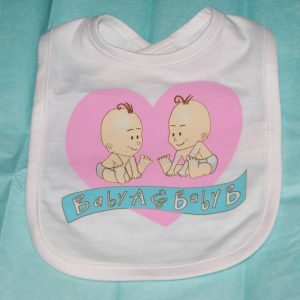 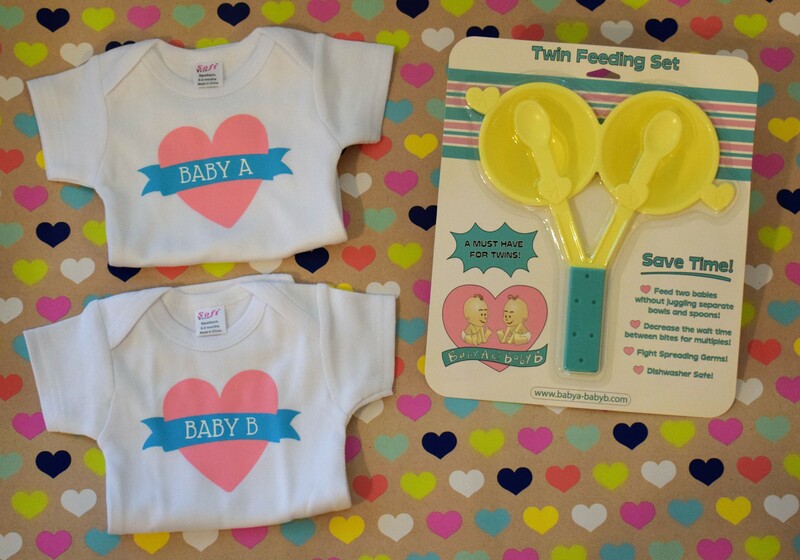 The Baby A & Baby B Twin Feeding Set and Onesie Set. 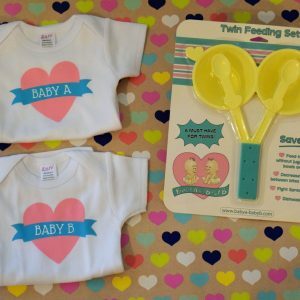 The Twin Onesies are incredibility cute and soft. Please note size needed during checkout.